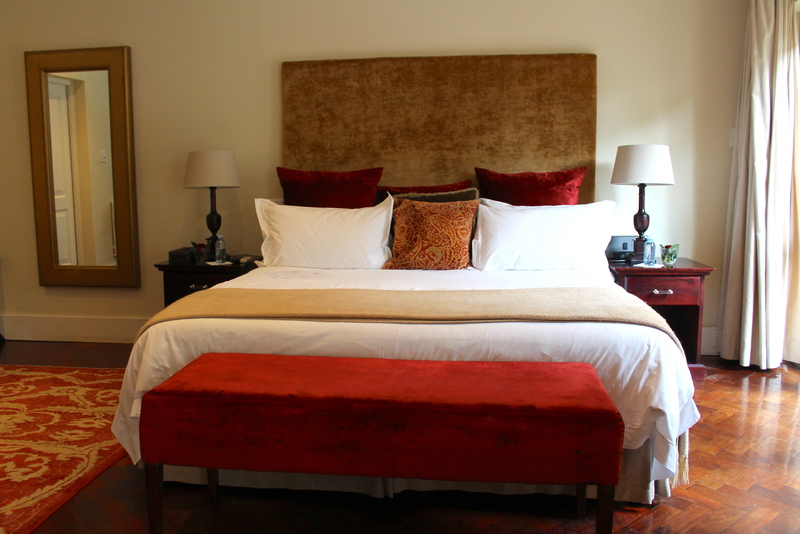 Home Away From Home: The Parkwood Hotel in Johannesburg! 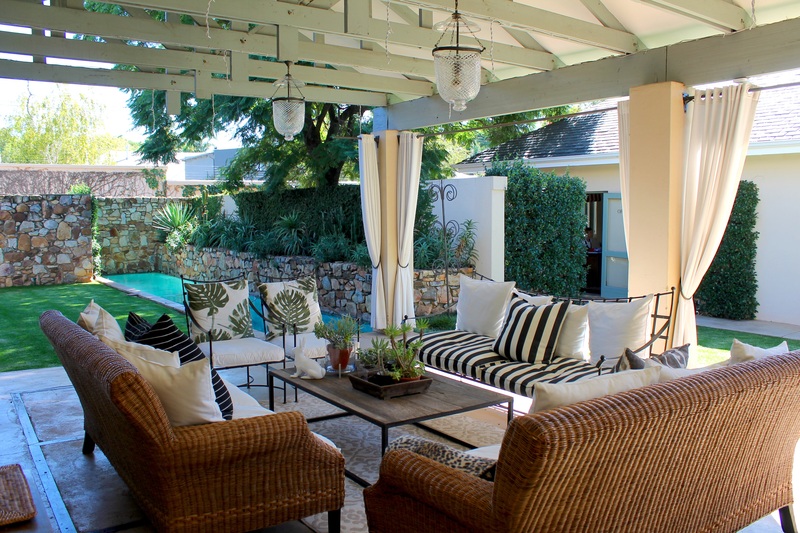 At this beautiful property, the owner organizes also private events, with home made catering! To get more info, click here! 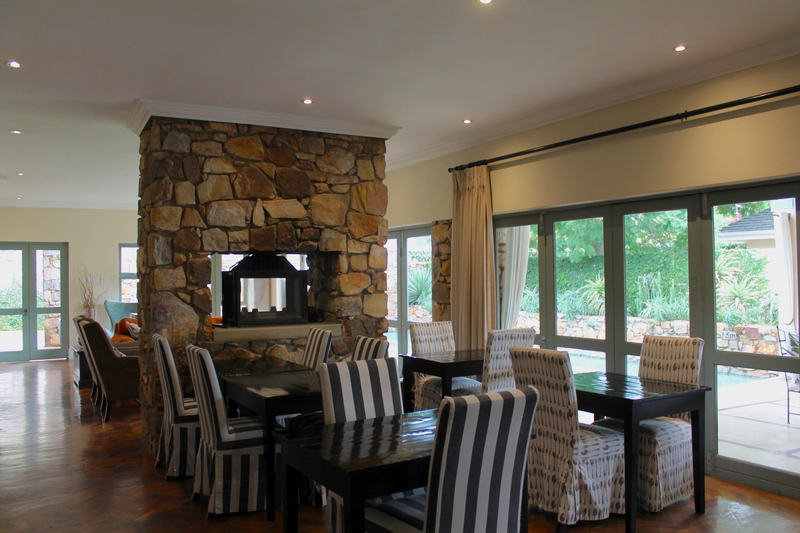 As soon as I arrived at The Parkwood I had a wonderful feeling as everything was very tidy, elegant and clean. 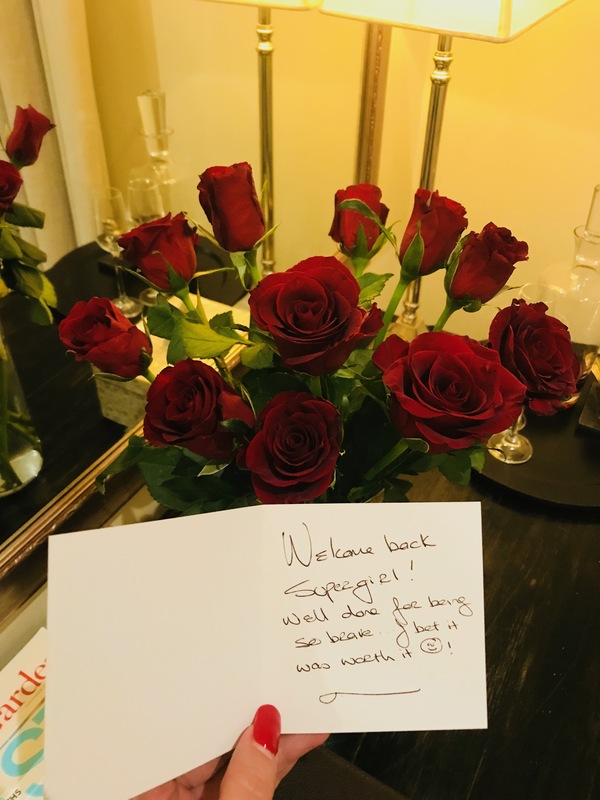 The warm welcome of the entire staff made my arrival even more pleasant! Smiles and happy vibes are precisely what you always find there! 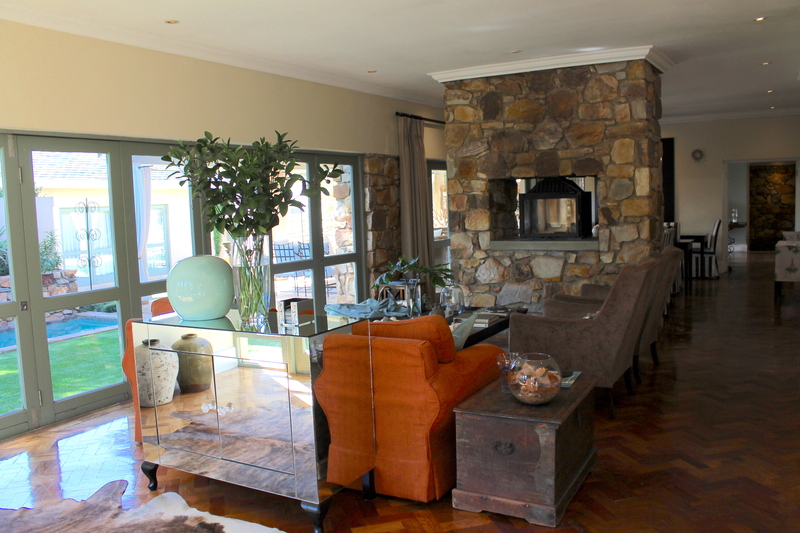 Especially for individuals who need to be in Johannesburg for business and tired of going to hotels with no soul, this luxury guest house is the best solution for people’s time away from home! 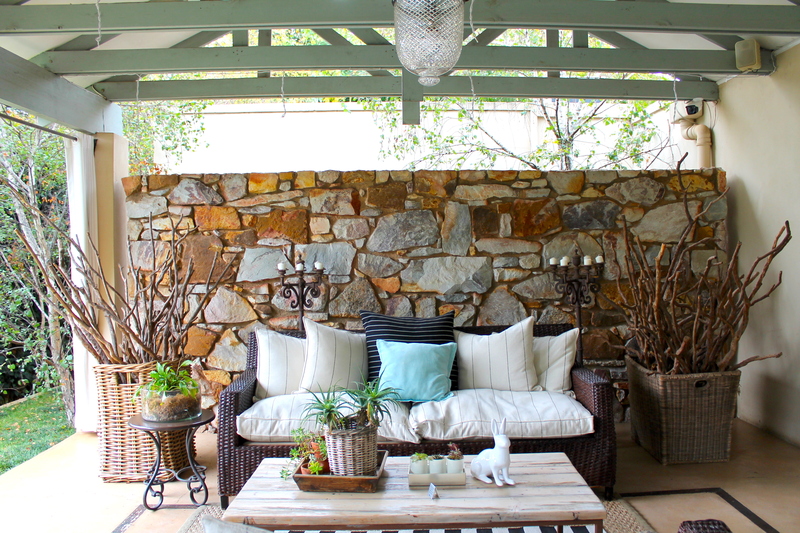 The veranda area right next to the lounge and the dining area is a perfect spot to chill, have a cup of coffee or do some work! There is also a swimming pool near the veranda lounge area, for the hottest day during summertime! 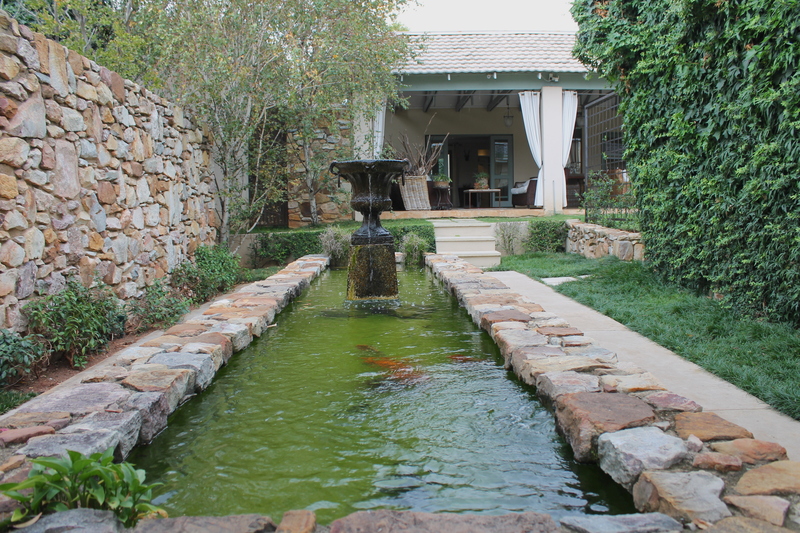 To provide the guests an additional sense of peace, there is a fountain with stunning Koi fishes inside! This luxury guest house doesn’t give you the feeling of being in a hotel, as you walk around the villa like if you were at your own place. 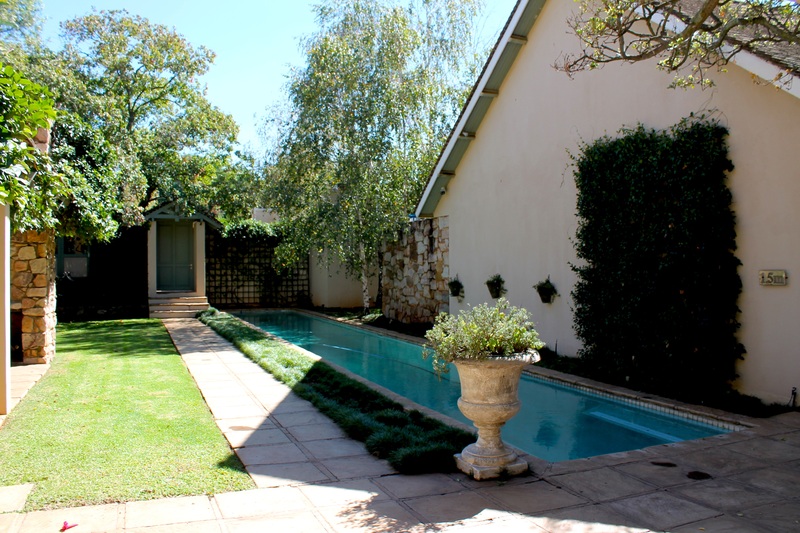 The rooms are beautifully surrounded by trees and flowers, and lovely swimming pools. The luxury suites are very spacious and the bed is so comfortable. I guarantee you I had the best sleep ever! 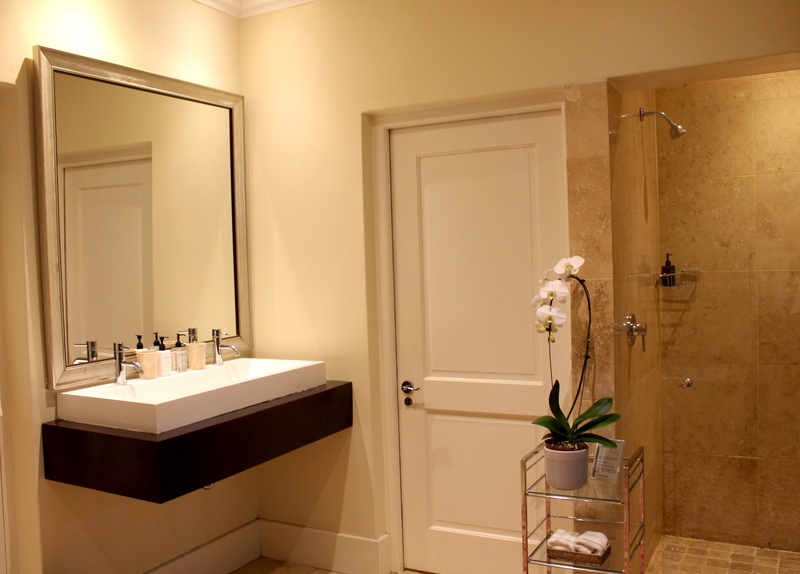 The bathroom is big and elegant as well, with 2 showers (one indoor and one outdoor!) as well as a bath! Perfection! 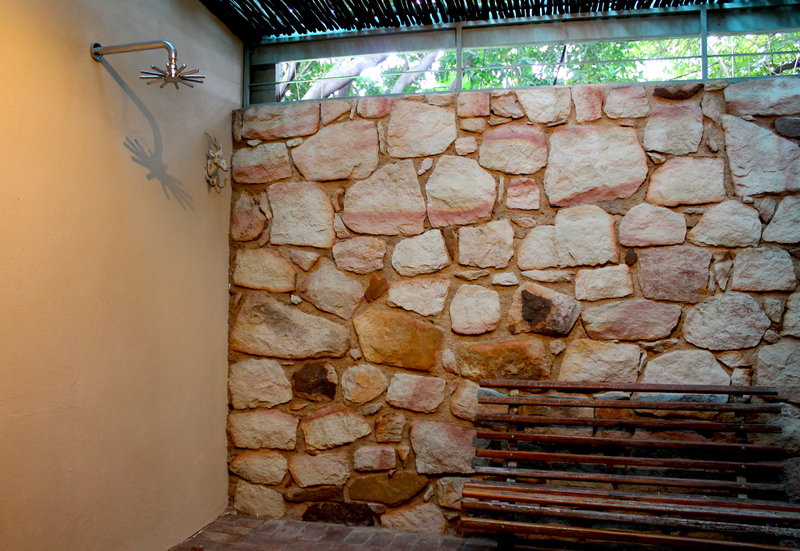 And the outdoor shower is a big plus! 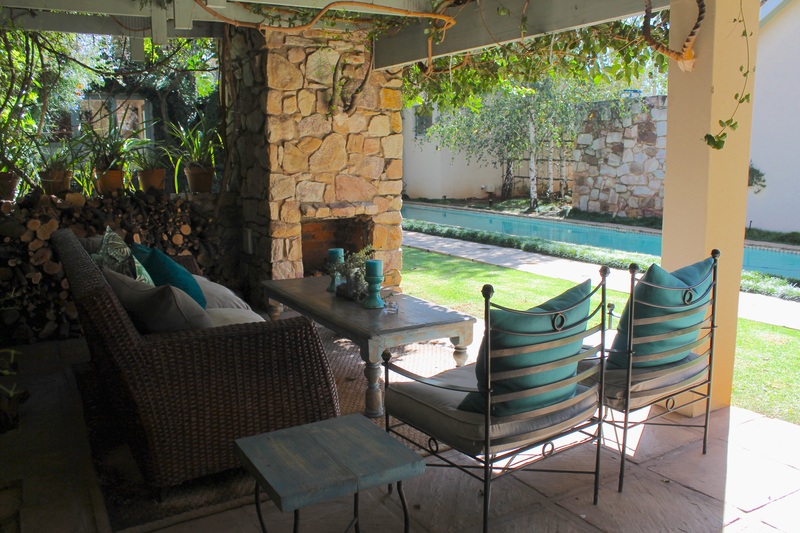 It gives you the feeling of being somewhere very exotic while staying in Johannesburg! The smaller room are very comfortable as well! I stayed also in one of them and I loved it equally! To check rates click here. Near the rooms there is another lounge area to relax, lovely! 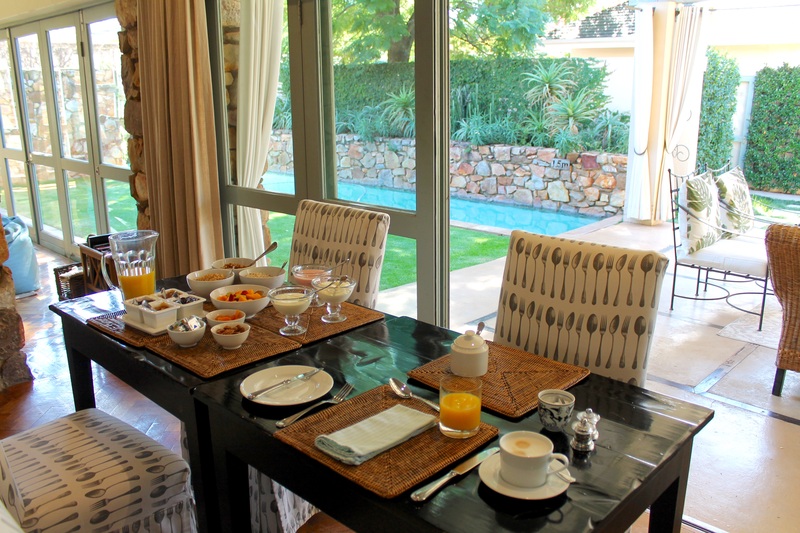 During my stay at The Parkwood I had delicious breakfasts: everything was extremely fresh and well presented on the table! 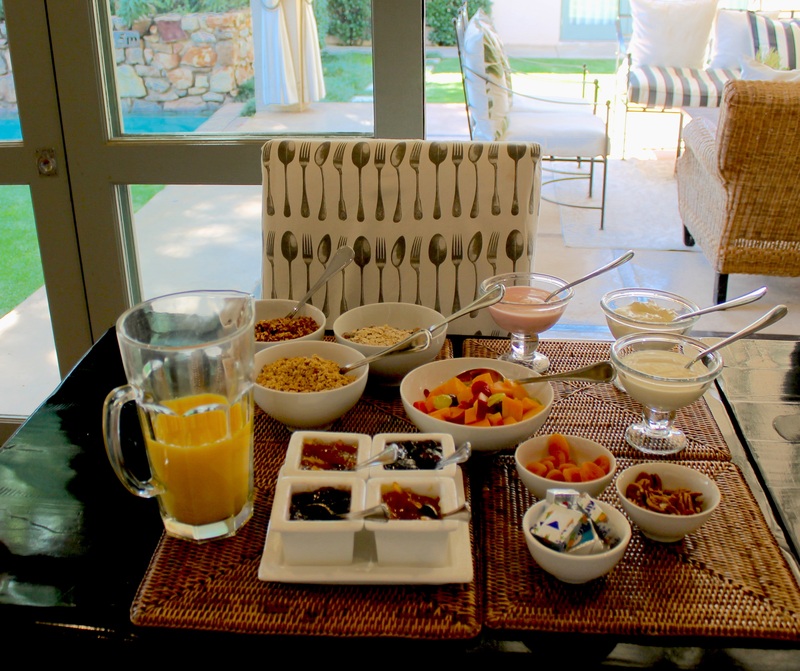 You can serve yourself from the buffet and also ask to have some hot breakfast dishes from the kitchen! For lunch and dinner you need to check the schedule with the staff upon arrival. I had a wonderful dinner there! Meat dishes highly recommended!!! 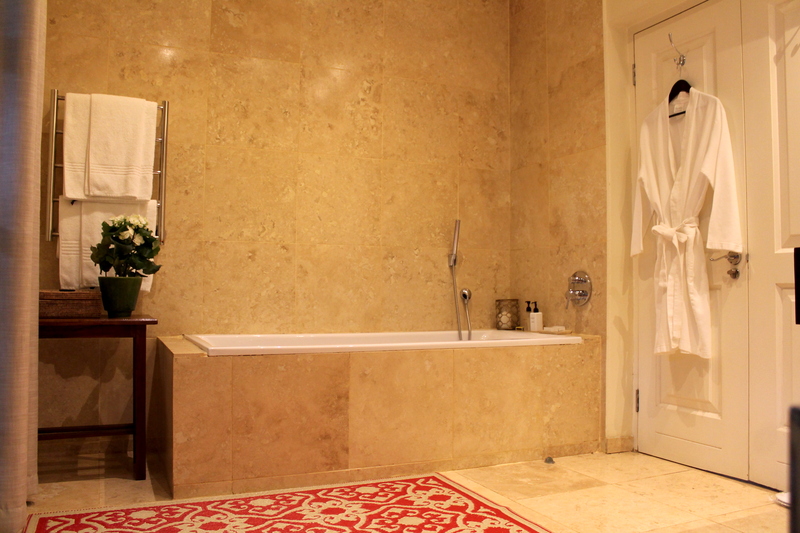 There is also a small spa inside the villa! It offers massages, as well as nail treatments! Perfect for any need during a trip to Johannesburg! 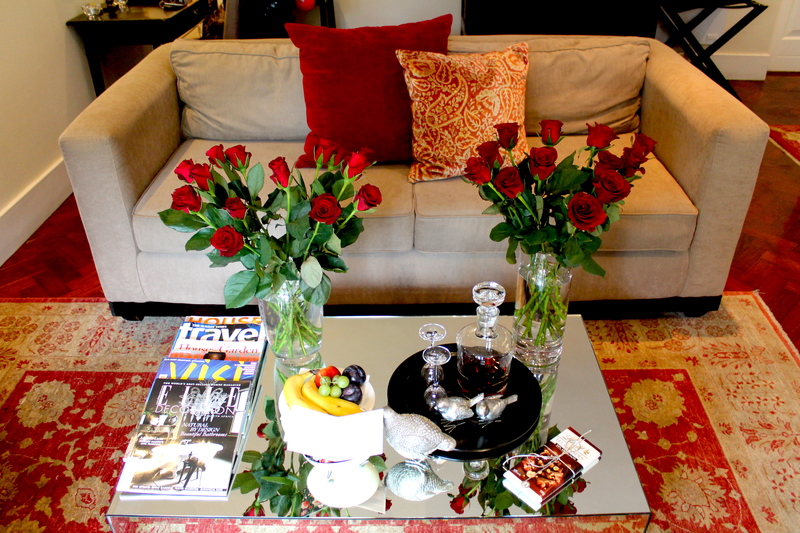 The second time I stayed at The Parkwood Luxury Boutique Hotel I really felt to be back home! 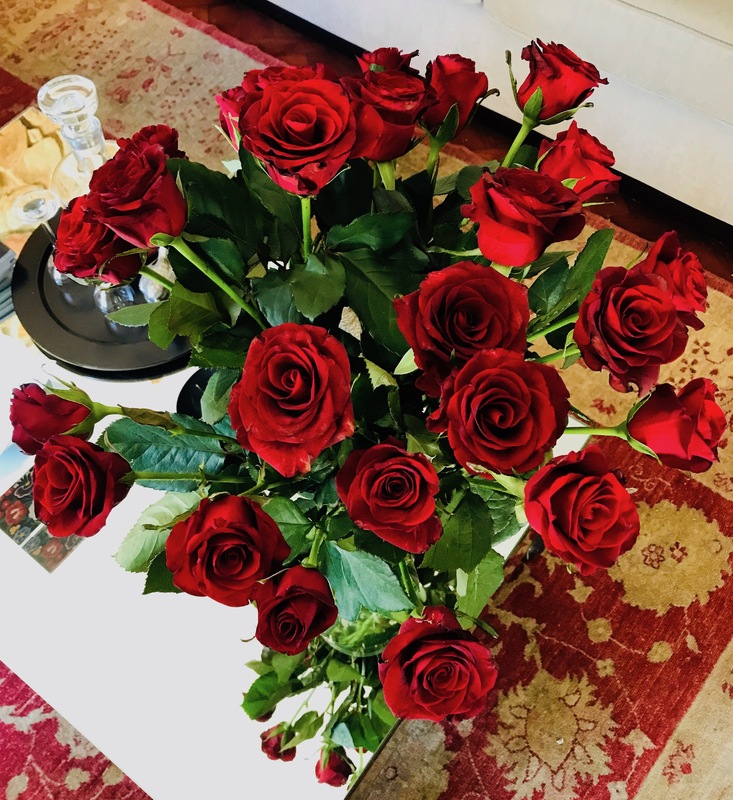 So much Love! I really cannot wait to be back to this beautiful place! ← Cinque Terre, Italy: The Ultimate Guide for A Trip to The Italian Riviera!